No one wants to have a sick child, but if you do, it’s comforting to know that you have an outstanding Children’s Hospital right in your own backyard. We like to call it world-class care…with heart. Parents and children come to us from all over the state, region and country to consult with our internationally-known doctors. They come because they know they will get state-of-the-art medical care in a warm and supportive environment. Our Nurse Magnet status demonstrates the nursing excellence that is part of the outstanding and collaborative care we provide. Our focus on research, teaching and innovation ensures that each patient receives the very best healthcare available. Sick or injured children need special treatment. As a Children’s Hospital, we provide medical and surgical care for children—and only children. When your child is a patient here, he or she will be treated by specialists who have dedicated their careers to learning about the diseases of children and caring for children. The equipment they use is designed just for children. Even our facility is specially designed to be less frightening and more welcoming. Every day, the only thing we do is provide compassionate, scientifically advanced care to children and their families in our exceptional facilities. Not every hospital can be called a Children’s Hospital–even if a hospital has a pediatric service, it may still not be a Children’s Hospital. To achieve that distinction, we must meet specific requirements determined by the state. Our designation as a Children’s Hospital means that the State of New Jersey recognizes the dedication and advanced training of our doctors, nurses, healthcare professionals, and other staff. We are also a member of the Children’s Hospital Association, a voluntary membership organization that is dedicated to advancing the quality of children’s healthcare. Hospitals wishing to join must apply and be accepted. At the Joseph M. Sanzari Children’s Hospital, our staff has the training, experience, and equipment to treat children and their special needs. Pediatricians receive up to 6 years of training, and specialists such as child life, social work and other therapists have specific pediatric training. Nurses who work at the Joseph M. Sanzari Children’s Hospital also have specialized training and expertise in working with kids. Our goal is to make the experience less frightening, not only for the patient but also for the family and loved ones. Child life specialists and social workers who help children and their families cope are part of the collaborative team that provides care to children at the Children’s Hospital. At our children’s hospital, kids receive treatment from people who are specially trained to take care of their needs. We offer 24-hour access to physicians, nurses, specialized staff, and our Pediatric Emergency Department. Because it is our mission to be right there whenever a child needs help. And we don’t just treat diseases and injuries. We treat the whole child, along with his or her family. 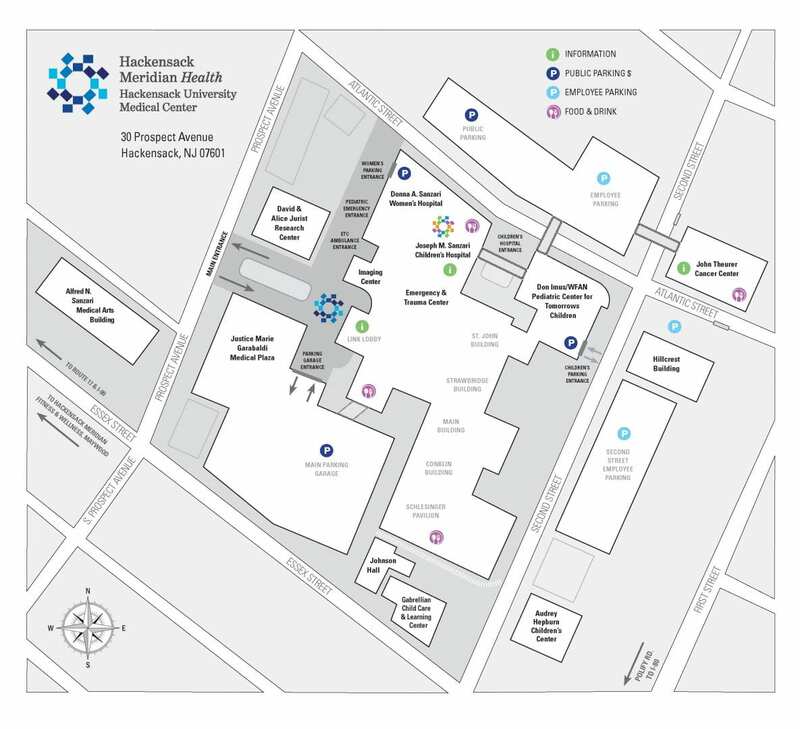 Thank you for choosing the Hackensack University Medical Group for your healthcare needs.